SINGAPORE – – Knight Frank Singapore, the exclusive marketing agent representing the interests of the owners of Fragrant Gardens via their collective sale committee, is pleased to announce the launch of the sale of Fragrant Gardens, a freehold, low-rise residential redevelopment site off Upper Paya Lebar Road, by tender. 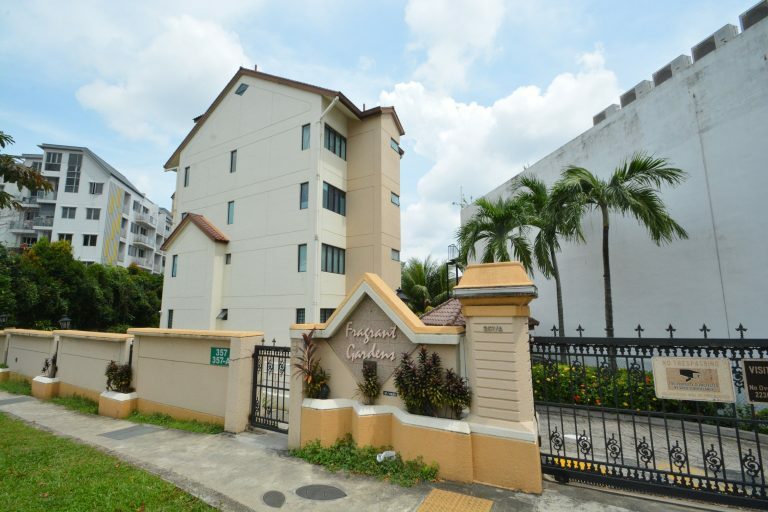 Fragrant Gardens is a private residential estate comprising two adjoining residential blocks of 37 apartment units, ranging from 79 sq m to 199 sq m, and has a site area of 3,583.8 sq m (approx. 38,576 sq ft). Under the 2014 Master Plan, the site is zoned “Residential” with a Gross Plot Ratio (GPR) of 1.4. This allows redevelopment potential to reach up to a maximum permissible Gross Floor Area (GFA) of approximately 54,005 sq ft, translating to a potential yield of 71 new residential units, based on the average size of 70 sq m. The Land Transport Authority (LTA) has confirmed that a Pre-Application Feasibility Study (PAFS) on traffic impact will not be required for the site. Located within its immediate vicinity are other private residential developments, including landed homes and condominiums. 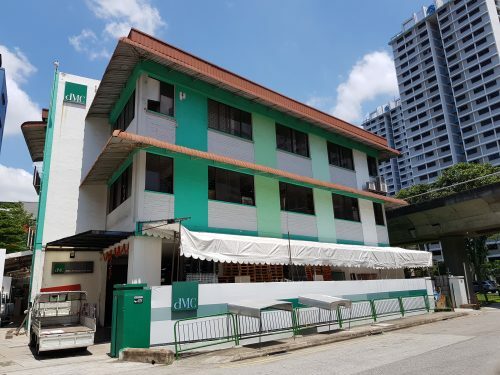 Many established schools surround the area, such as Paya Lebar Methodist Girls’ Primary and Secondary Schools and Maris Stella High School, which are located within 1 km from the development. Other reputable schools situated less than 2 km away include Cedar Primary School, Cedar Girls’ Secondary School, St. Gabriel’s Primary School and St. Gabriel’s Secondary School. 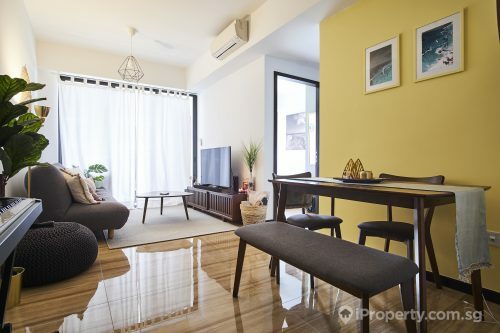 The development is strategically accessible to various parts of Singapore, located just two bus stops away from NEX Mall and Serangoon MRT Interchange (NE12/CC13) and just is 15 minutes’ drive to Orchard Road, the Central Business District and Changi Airport. 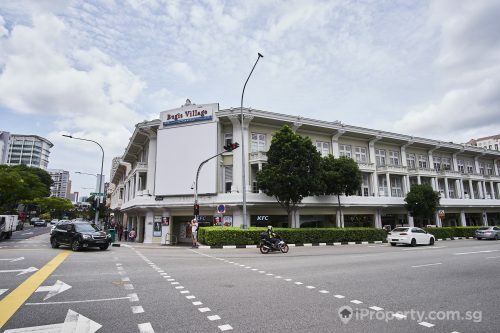 The site is also located approximately 600 metres from Bartley MRT station and is close to a wide array of amenities at Serangoon Gardens, Paya Lebar Central and Kovan. The Central Expressway (CTE), Kallang-Paya Lebar Expressway (KPE) and Pan-Island Expressway (PIE) provide seamless connectivity to other parts of Singapore, on top of linkage via major arterial roads like Upper Paya Lebar Road and Upper Serangoon Road. Owners are expecting offers above their reserve price of S$65.0 million. Due to the high development baseline as confirmed by the Urban Redevelopment Authority (URA), no development charge will be payable for the intensification of the site to the maximum permissible gross floor area, and this translates to a land rate of approximately S$1,204 psf ppr. With the inclusion of a 10% bonus balcony GFA and a proposed plot ratio of 1.54 (1.4 + 10%) balcony, the land rate works out to approximately S$1,094 psf ppr, subject to the authorities’ approval. “The reserve price for Fragrant Gardens is very competitive compared to the transaction of Sun Rosier at S$1,325 psf ppr (S$271 million). 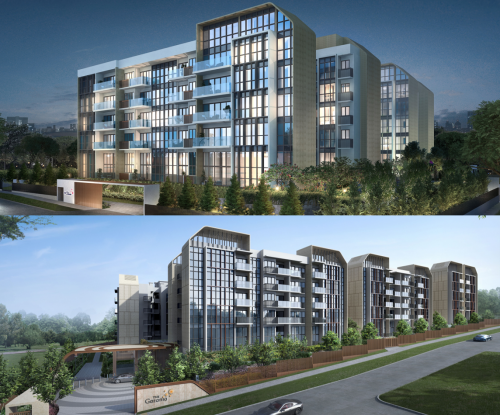 Despite recent government cooling measures, the price quantum of $65 million is a palatable, low-risk acquisition to mid-sized developers. 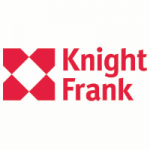 Coupled with no possible risk of development charge movements, we believe the site could attract developers with lower risk appetites looking for redevelopment opportunities,” says Mr Ian Loh, Executive Director and Head of Investment and Capital Markets, Knight Frank Singapore. The tender for Fragrant Gardens will close on Wednesday, 4 September 2018 at 3 pm.